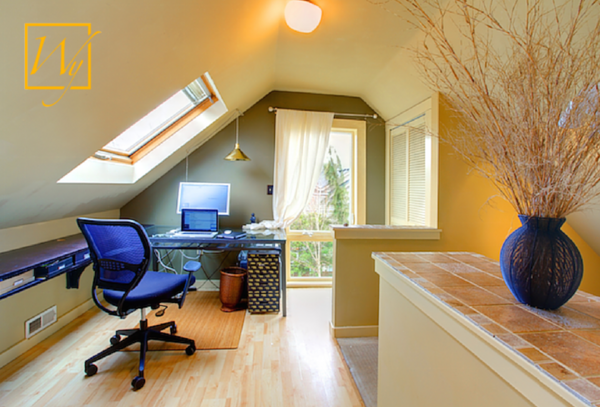 What Does Floor Heating Cost in a Victoria, BC Home Office? Known as the "The Garden City", Victoria is an attractive city and a popular tourism destination. 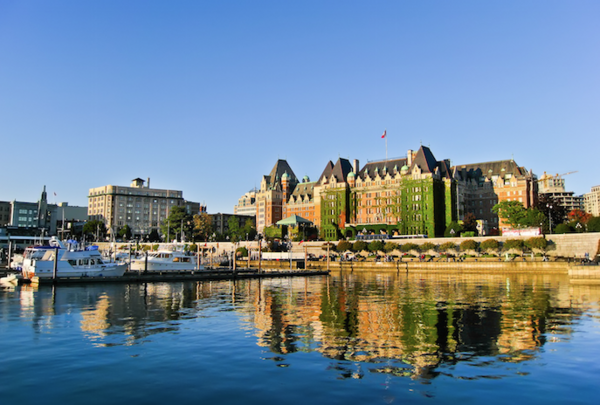 Located about 100 kilometers (62 miles) from British Columbia's largest city of Vancouver on the mainland, Victoria is very popular with boaters with its beautiful and rugged shorelines and beaches. It is also the capital of British Columbia and has the distinction of being one of the oldest cities in the Pacific Northwest. The city’s Chinatown is the second oldest in North America after San Francisco’s. While the temperatures are more moderate than northern Canada, the cold season in Victoria lasts from November 22 to February 20 with an average daily high temperature below 8 degrees Celsius (47 degrees Fahrenheit). The coldest day of the year is December 13, with an average low of 2 degrees Celsius (35 degrees Fahrenheit) and high of or 5.5 degrees Celsius (42 degrees Fahrenheit). Factor in the shorter daylight hours that accompany winter and Victoria homes can still benefit from a little more heat. In this case (see floor plan), the homeowner often put in extra hours in the evenings at her Victoria residence, so she wanted to warm up her small 44 square foot office to make it a more comfortable working environment. She decided to replace her office floors with hardwood and add electric floor heating underneath. 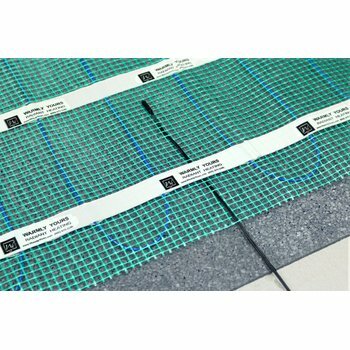 The 1.5- by 21-foot TempZone™ Flex Roll from WarmlyYours fills 32 square feet of floor space and costs $393.75, which equates to just $12.30 per square foot. The TempZone™ Flex Roll was cut and turned to effectively fill the floor space with 15 watts per square foot of soothing radiant heat. Operating the heating element is also very affordable. According to WarmlyYours’ Energy Use Calculator, it only costs 18 cents a day to heat this office for eight hours every day. Annually, that comes out to just $28.52, according to WarmlyYours’ Heat Loss Calculator. The highest the monthly electric bill for this room would reach is $4.16 during the coldest month of the year. That’s about the price of a cup of coffee and a donut! 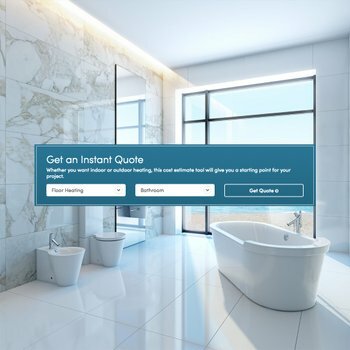 To determine how much it would cost to add in-floor heating to your office, or any other room in your home, check out WarmlyYours’ Instant Quote tool. This is the best place to get started with your project. All you have to do is plug in some information about your project and the tool will show you the recommended products for your room and how much they will cost. The tool also allows you to upload a floor plan of your room to get a custom installation plan. This plan offers more detail than an Instant Quote because it shows exactly how the floor-heating system should be laid out for optimal functionality as well as the electrical plan. This information makes your installation easier, and it also helps our technical support team to better direct you through the install process. Free technical support is available 24/7 at 800-875-5285. Whether you live in Victoria or another city that could use some warming up, www.warmlyyours.com has a solution for you. 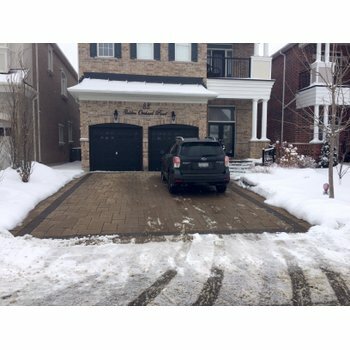 Previous Post How Much Does It Cost to Heat Your Basement Floor in Detroit?